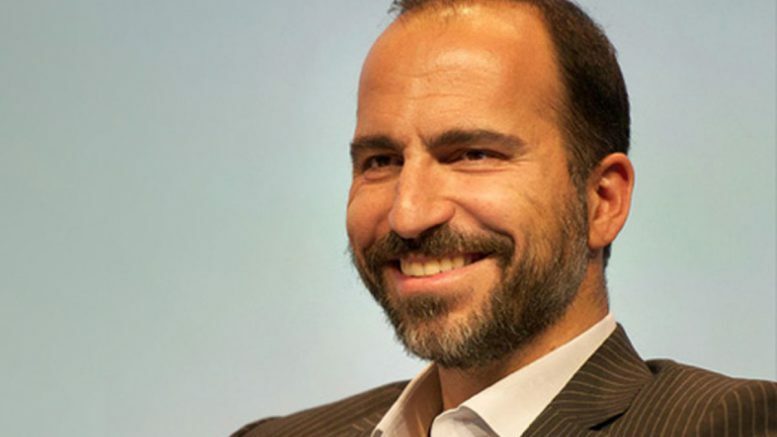 Uber Technologies Inc chose Dara Khosrowshahi, the chief executive of travel company Expedia Inc, as its chief executive on Sunday, handing him the challenge of leading the ride-services company out of a long crisis. Khosrowshahi, 48, would take on the daunting task of mending Uber’s image, repairing frayed relations among investors, rebuilding employee morale and creating a profitable business after seven years of losses. He faces the difficult task of changing Uber’s culture that has included sexual harassment and allegations of deceit and corporate espionage. Uber also is losing millions every quarter as it continues to expand and invest in self-driving cars. In Khosrowshahi, Uber’s board has picked an executive with a track record of driving growth while also delivering profits – precisely what the unprofitable Uber needs to satisfy investors. He has also proven capable of making Expedia the leader in another industry full of change and competition — online travel. • Khosrowshahi, who ran Expedia for 12 years, not known to the public to be among the top candidates for the job. He is not a fixture in the celebrity executive community. And since Expedia is based in Bellevue in Washington, he is a Silicon Valley outsider, offering a contrast to the “tech bro” culture former CEO Travis Kalanick established at Uber. • The Iranian-American businessman came to the United States as a child in 1978 with his parents following the Iranian Revolution. He received a bachelor’s degree in engineering from Brown University and got his start at investment bank Allen and Co.
Khosrowshahi, the highest paid CEO in America, mainly because of a nearly $91 million stock option grant. He is also on the board of the New York Times Company and sports merchandise company Fanatics Inc.
• Under Khosrowshahi’s leadership, Expedia more than doubled its annual revenue since 2012 to nearly $8.8 billion in 2016. The company reported net income of $281.8 million for 2016. He led Expedia through a string of acquisitions since 2014, buying Airbnb rival HomeAway Inc for $3.9 billion, Orbitz Worldwide Inc for $1.3 billion and Travelocity for $280 million, cobbling together an online travel empire. Expedia is the world’s largest online travel agency by bookings. • He is an outspoken critic of US President Donald Trump, blasting Trump’s travel ban that includes Iran as “inward-looking” and “reactionary”. Expedia filed a legal challenge to the ban. • At Uber, he is expect to bring an end to a company culture built on founder control. Kalanick enjoyed sweeping authority on the board and nearly complete autonomy in running the company, a governance style that helped to create a workplace that had few checks and balances. Be the first to comment on "Silicon Valley outsider, Trump critic: Uber’s new CEO Dara Khosrowshahi"